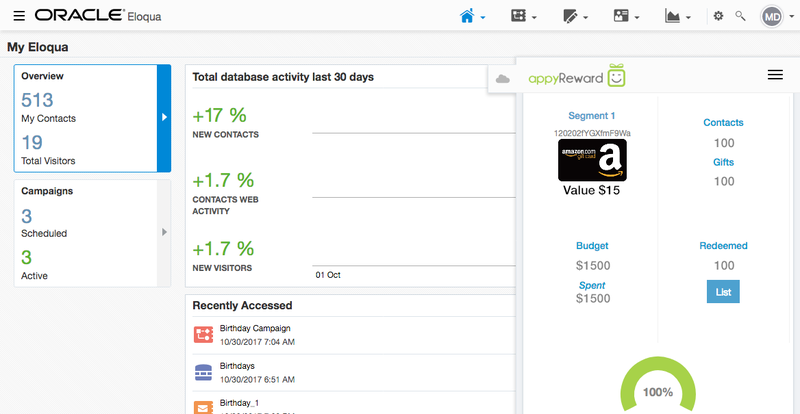 Welcome to the appyReward Blog! 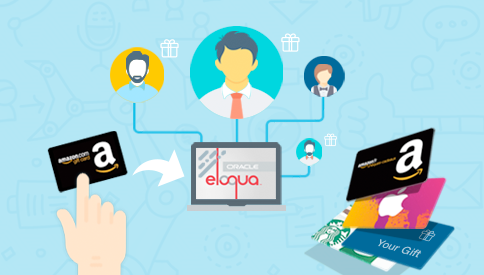 How to reward targeted contacts with Oracle Eloqua to ensure a memorable gift experience! Nobody likes feeling as a lead, but everyone loves to be rewarded! B2B marketers have a limited number of potential buyers, so it’s crucial your leads have your company at the top of their minds when ready to make an investment. One of the fundamental benefits of marketing automation is that it enables e-gifts campaigns to run in the background 24/7 throughout the year. Seize this technology opportunity to choose and leverage the right incentive properly to reward every targeted contact on his birthday. 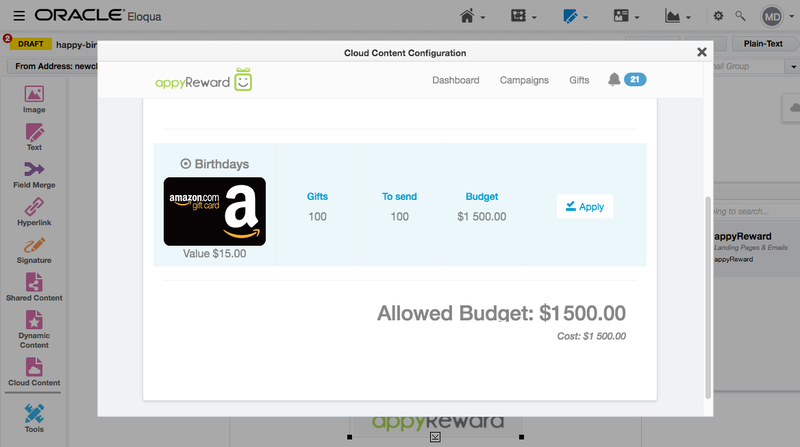 It’s simple, once you added appyReward to Oracle Eloqua, just drag and drop e-gifts from the Cloud Content panel and start writing your scenario. You can choose a gift from the appyReward e-gift cards catalog or insert your own gift if you have pertinent incentives to offer. 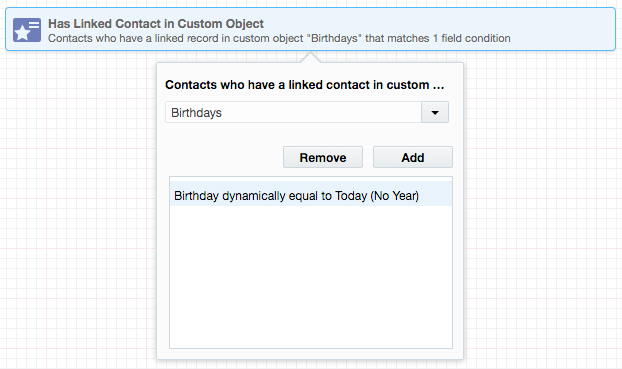 Upload first your contact birthdays as custom data objects, and map them to contact records. Create a Segment with a filter that retrieves individuals that are linked to this custom data object with Birthday dynamically equal to Today. 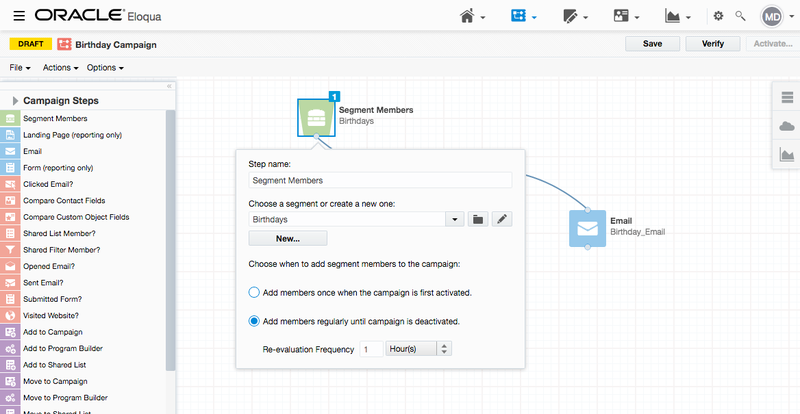 Build a simple campaign with your Segment Members to add new members every hour until the campaign is deactivated. 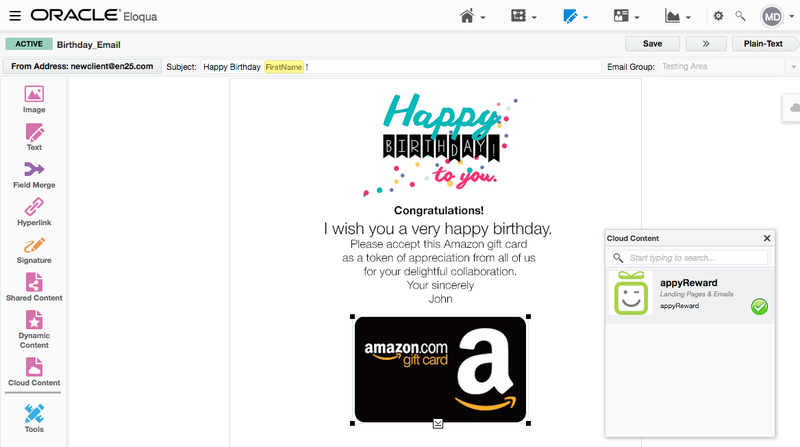 Create a birthday email that includes your e-gift, and add it to the campaign canvas. To insert an e-gift card, you just have to drag & drop the appyReward icon (gift card form alike) from the Cloud Content panel; then double click on it (the gift card form) and configure your gift (select the type of gift, choose value, set quantities, fix delay, etc.…). Once selected and configured, apply your e-gift to your email birthday. Schedule the time you send your email, you can trigger it between 8 and 10 am to wish a happy thought for starting the day! Then, track every gift delivery in real time and see how happy your customers are. Check all results via Eloqua Custom Objects. 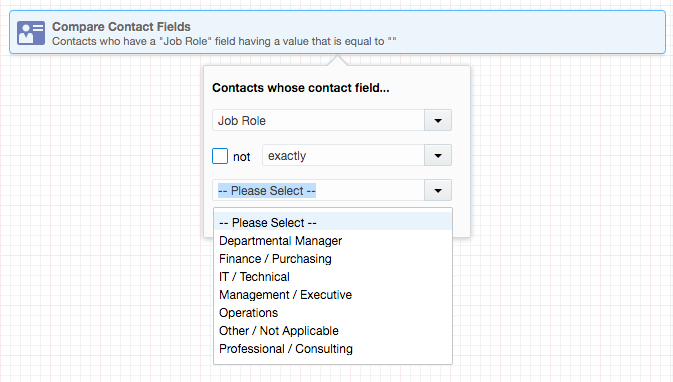 You can also specify new filters as for example based on Job Role criteria; and create various Birthday emails with different e-gifts appropriated to your targets. appyReward is a registered trademark of appyReward, Inc. & appyReward, SAS. All Amazon ™ & © are IP of Amazon.com, Inc. or its affiliates.